After our latest article on security practices, we were asked us for some more tips, specific to email management. 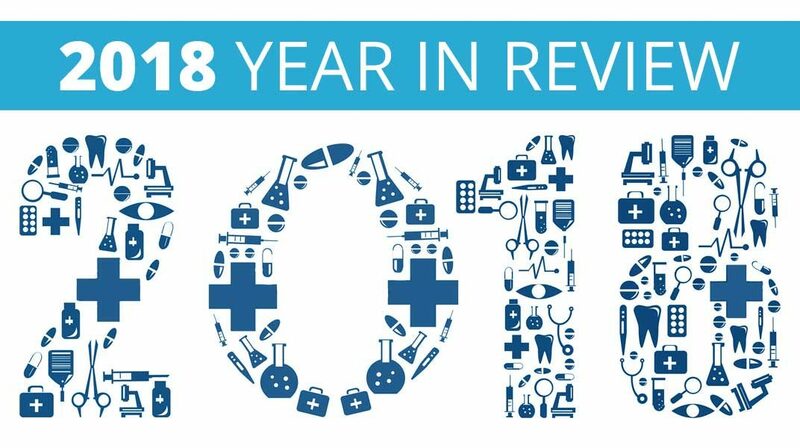 We understand just how many emails the average doctor or anaesthetist will receive in a week. And we understand how impossible it can be to manage such an influx of information whilst also trying to manage a patient list. We’ve put our heads together and come up with our best advice for email account mastery. If you can spare just a few minutes to read this article, you could well save yourself hours of time in the future. Our doctors often ask us which email provider they should use. Personally, we love Gmail. 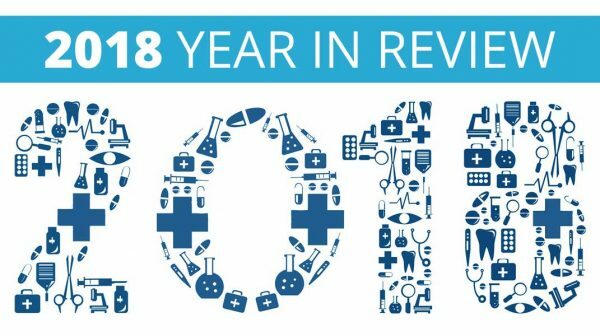 It’s celebrated as the most user-friendly cost-free service out there. It’s such a popular system that it’s always being updated. Arguably, and importantly, it also has the best security. 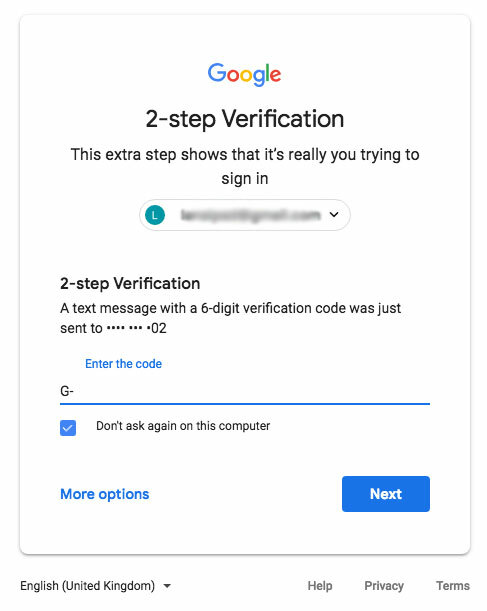 Gmail provides two-step verification which means that whenever you log into your email account on a new device, you’ll receive a special code on your mobile phone. By entering this mobile code, you’ll prove to the system that you are who you say you are, and not an imposter. 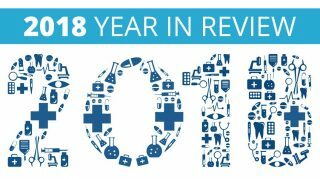 This is particularly important for doctors and anaesthetists as their email accounts contain confidential patient information which they wouldn’t want hackers to access. …Gmail offers a range of handy functions that make it easy to quickly find information. Its excellent search function will allow you to sift through your mountain of emails and will quickly show you the email you’re hunting for. The advanced spam filter will ensure you only see the emails you want to see, minus all the junk mail. Gmail is perfect for any busy doctor or anaesthetist as it offers a large amount of free storage, currently set at 15GB. We know all-too-well how quickly that mailbox would fill up, otherwise! To store emails that are relevant to one another, Gmail groups messages in chains. These chains make it very easy to find previous messages within a conversation. 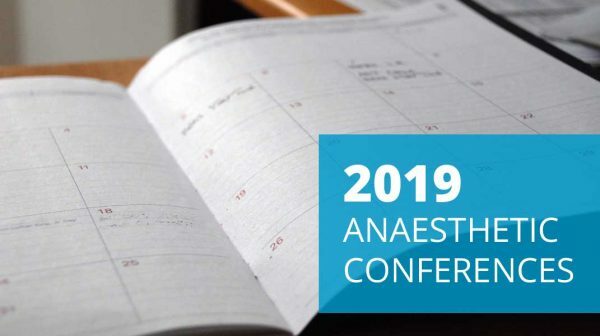 Of course, a patient or surgeon can be communicating with their anaesthetist for a number of months, so the ability to delve back into the archives is very useful indeed. Gmail also allows you to send emails from another domain or email address. 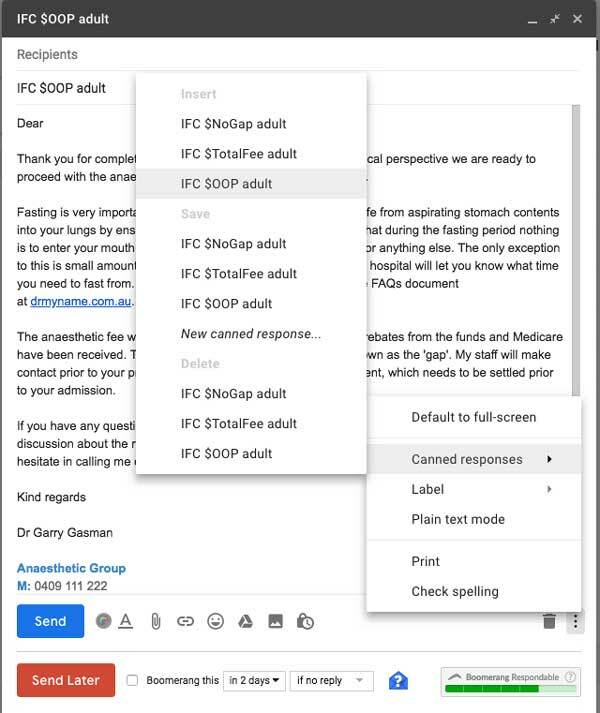 For example, if you have a professional anaesthetist email address with us, you can send email from this @anaestheticgroup.com.au or @dryourname.com.au address with ease. 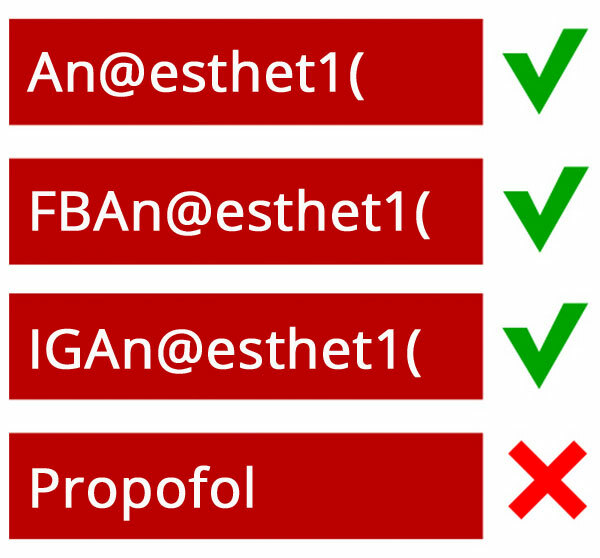 Click here for instructions on setting up your free Anaesthetic Group email address. On top of this functionality, Gmail also includes some handy extras that will assist you in tidying up your email management. You can snooze and configure your email notifications, report spam and unsubscribe from any mailing lists you no longer want to be part of. It can also be integrated with lots of different apps and tools and has an excellent iPhone interface. Plus .. did we mention it’s FREE! 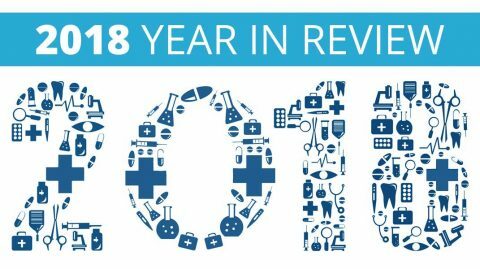 For anyone seeking a higher level of security, Gmail also offers a paid version called ‘G Suite’ which is compliant with the American Health Insurance Portability and Accountability Act (HIPAA), ensuring top levels of data privacy and security provisions for safeguarding medical information. So, you’ve chosen Gmail and you know that you can link it to your professional anaesthetist email account. Gmail is very straightforward and will guide you through the set-up process. Beyond the basics, we’ve listed some extra steps that we think will help you to establish the most efficient Gmail account possible. To discover how to send emails from your Anaesthetic Group account, click here. You can set up a different email signature for each email account. You can even consider adding links to your FAQs and patient articles or billing service details. Click here for instructions on how to set up your signature. By using keyboard shortcuts, you can save yourself a significant amount of time when creating emails. For information on how to use these to your advantage, click here. All this may feel awfully time consuming but trust us when we say that a stitch in time really does save nine! We recommend a mix of upper-case and lower-case letters, as well as some characters like ‘!’, ‘@’ and ‘#’. If you haven’t activated two-step verification after reading our security article, please do it now. As mentioned above, when you log into your email from a new device, you’ll not only need your username and password, but you’ll also need to prove that you are who you say you are by entering a code that is sent to your mobile phone. 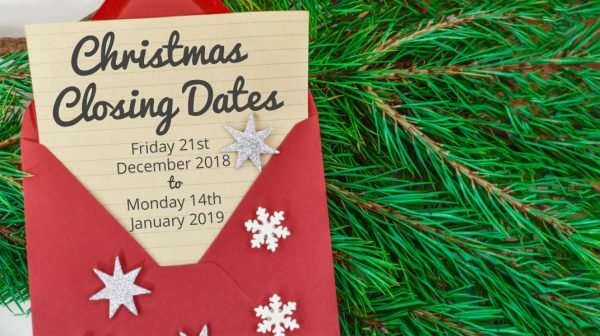 Whilst this might sound like extra effort, it’s very important as it stops other people from getting hold of your username and password and logging straight into your account. Be sure to take advantage of the ‘Undo Send’ function… it will change your life! From now on, you have 30 seconds to recall an email if, for example, you happen to send it to the wrong person. And who hasn’t done that a couple of times before? 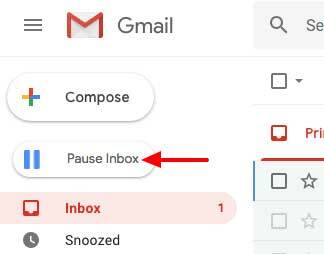 To activate this option in the new 2018 Gmail (like below), go to settings, then to ‘General’ then change the ‘Undo Send’ time. Or in the old Gmail: go to settings, then to ‘Labs’, then click ‘Enable’ under ‘Undo Send’. Be efficient – clear that inbox! Every anaesthetist is different so, whether you do this just once a day or three times a day, stick to a schedule that works for you. Glance at your inbox and work out which messages you want to read, delete, answer or save for later. We love using Gmail’s new tabs, labelled ‘primary’, ‘social’, ‘promotions’, ‘updates’ and ‘forums’. By using these tabs, you can drag your emails into categories, keeping your primary inbox nice and clean. To set it up go to ‘Settings’, then ‘Labels’ then adjust them under ‘Categories’. Bulk archive (or delete) any emails you don’t want or don’t need to read now. Simply tick them all and hit ‘archive’. If there’s zero chance you’ll ever need to see an email again, even for reference purposes, delete it. Gmail can group emails into conversations, so new emails appear at the bottom. Read the latest instalment first and save yourself some time. Click on the grey arrow in the search field. A pull-down screen will appear, where you can enter your filter criteria. Once you’ve entered your terms, click ‘create filter with this search’ and select the action you’d like Google to take for these emails. Use filters together with labels to become a Gmail power user! 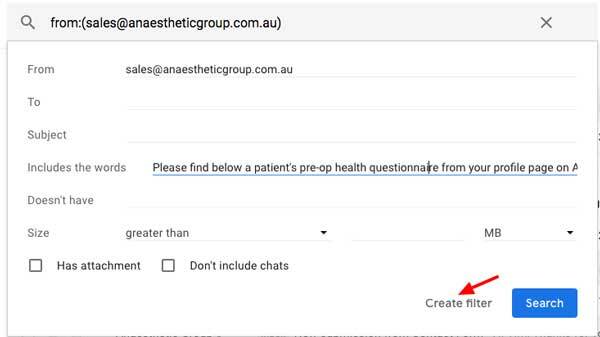 For example, you can attach a ‘Pre-op Forms’ label to any email that contains the words “Please find below a patient’s pre-op health questionnaire from your profile page on Anaesthetic Group”. By doing so, you will be able to quickly view any new pre-op forms without needing to dig them out first. Stick an ‘Accounts’ label on any email that has the word ‘invoice’ in its subject, and automatically archive it. Set your account to forward and/or archive any emails you don’t want in your inbox. For example, you could automatically send any non-urgent newsletters or article feeds to your secondary email account, or send specific emails to colleagues, delegating their associated tasks. Filter out any group emails that you really don’t need to know about. If you find that you often send very similar messages, email templates are for you. For example, you could create a specific template for each patient. To set this up visit ‘Settings’, then ‘Advanced’ then enable ‘Canned Responses’. Compose a new email with your planned template then bottom right 3 dots and click save. To use a template again click the 3 dots and insert your canned response. The Boomerang app offers a great feature which only pushes emails into your inbox at set times. This is perfect for when you’re on holiday or during a weekend of downtime. Another awesome feature of the Boomerang app is one whereby you can bounce or ‘boomerang’ emails back into your inbox at a set time. If you receive an email about a list in two weeks, rather than storing it in your inbox, the app will allow you to snooze the email for e.g. 13 days, bouncing it back into your inbox the day before the operation. 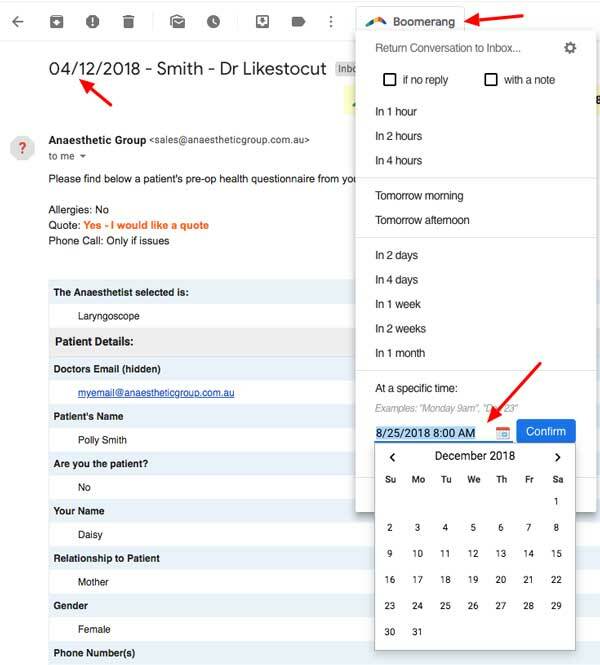 If a patient completes their anaesthetist’s pre-op form months in advance, the app can boomerang their forms back to the doctor’s inbox when the surgery is nearing. Use an email scheduler to control when your emails are sent out, preventing you from playing email ping pong all day. 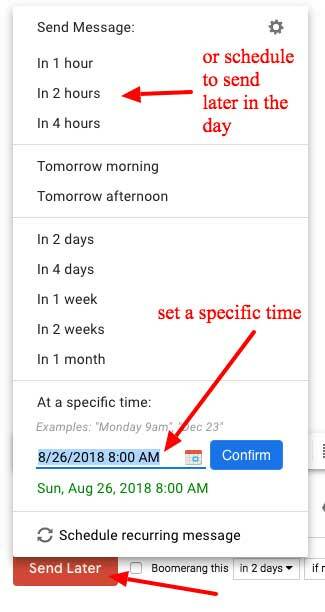 Gmail has a new Snooze function or there is also a Boomerang function. If an email will take less than two minutes to read and reply to, take care of it immediately. Sometimes an email response simply needs to say ‘No’ or ‘Thanks’. If, like some, you feel that short replies can be seen as rude, update your email signature to ‘Sent from my phone’ to show that you’re out and about, and busy. This way, your emails are immediately archived when you reply to them. It seems so obvious, but emails soon clog up your storage, especially if they have big attachments that you don’t need. If you find that you’re constantly distracted by email notifications, turn them off. Gmail provides the ability to move emails into side folders. You can automate this via a filter so they are easy to find later. Gmail also allows you to use different top email tabs, labelled ‘primary’, ‘social’, ‘promotions’, ‘updates’ and ‘forums’. By using these tabs, you can drag your emails into categories, keeping your primary inbox nice and clean. We use Asana for all of our to-do lists. Whenever we receive an email that will require some time to action, we add a note to our to-do list then boomerang it or move it into our ‘forums’ column. 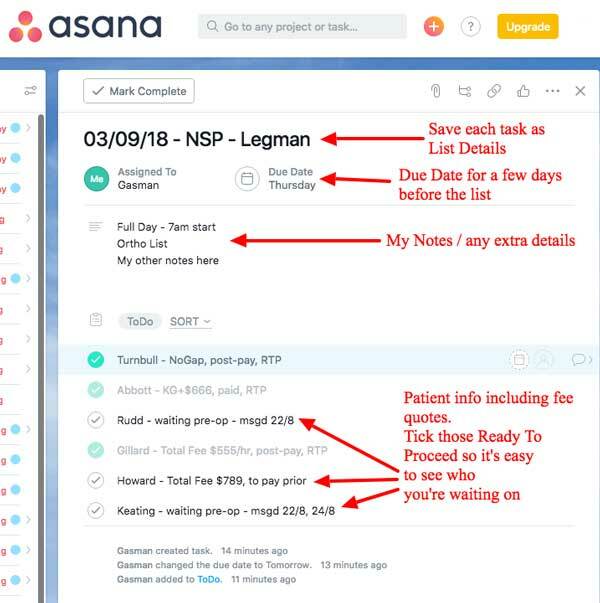 Even if we receive an email about something we need to follow up on or buy, we create an Asana task and add running notes until we’ve done enough research to make the purchase. If you need help focusing on your most important tasks, close your email account. Simply stop looking at it. If you do use a to-do-list such as Asana, your list is the only thing you need to keep an eye on. If you have limited time at your desk, ask yourself what your top priority is, and focus on that. It’s easier said than done, perhaps, but trust us on this one. Try setting a timer (we love the Pomodoro Google Chrome extension) and ruthlessly go through your emails to work out what your need to read that day, archiving or boomerang-ing the rest. Tomorrow, try and do it faster. 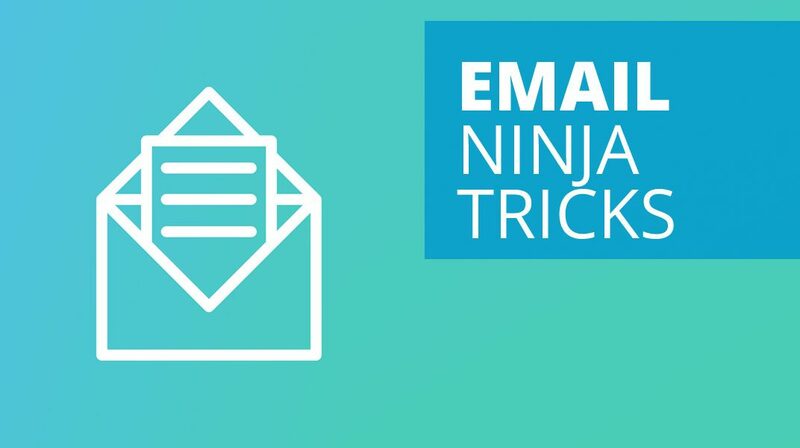 You’ll be an email ninja in no time! It’s important, however, that you only receive email notifications from one important email account. We use two Gmail accounts; our professional account sends us notifications and is set up on our computers. The other Gmail account is the one we use to sign up to mailing lists, for online purchases, for social media and for social contacts. Our primary account is linked to the Gmail app on our iPhones and sends us notifications when new emails arrive. The other account uses the standard iPhone ‘Mail’ app and only shows us our emails when we choose to check the inbox, or when we have some downtime. For example, you could use [email protected] for your professional account (but sending from your [email protected] to look professional) then use a secondary [email protected] for a social account. We can ensure that all your pre-op questionnaires go to the account you check most regularly ([email protected]). If you’d like your preferences updating, just let us know. It won’t take a minute. If you’re no longer interested in what a company or individual has to say, or don’t have the time to read their messages, stop receiving them. It only takes a second. Report any unsolicited newsletters by clicking the ‘report spam’ button. 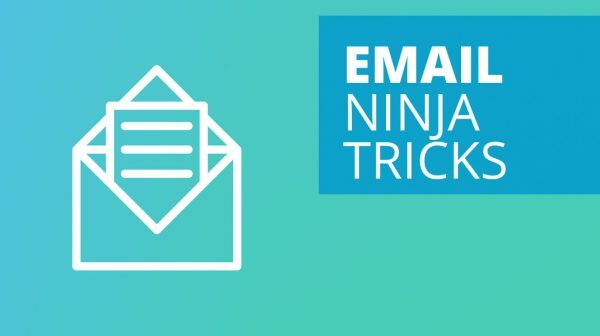 This way, any future emails from that email address will go straight to your spam folder. If you did originally sign up to the mailing list, avoid bad karma by unsubscribing instead. If you report an email as spam, the sender will be penalised by Google, so it’s best to be fair. If you’re getting close to your 15GB Gmail limit, type the following into the search bar: “larger:10M older_than:2y”. Delete any old emails that have large attachments. They’ll be clogging up your account and, if you do reach your limit, will prevent you from receiving new messages. Keep track of any articles you want to read later using a URL saver / clipper. This way, you can delete the email from your inbox without missing anything interesting. Alternatively, send these emails to your secondary email account, and read them at your leisure. Evernote is available as both a browser extension or an app. If you’re looking at your email inbox now, don’t have a clue where to start and are truly overwhelmed, we have a bold suggestion. Consider archiving every single email in your inbox right now. If something is important, you’ll still be able to find it later. Be careful though… archive your emails rather than deleting them! If someone really wanted to get in touch with you, they’ll contact you again. Whatever you do… make sure you don’t accidentally archive any of those all-important pre-op forms!